Thank you for that gushing letter. I don’t know that I quite deserve that kind of praise but, hey, I’ll take it. You know, I love my job. I’m grateful and appreciative of the opportunities I’ve been given by my publishers over the years. I get to write books. Me, of all people. I hope I never take the privilege (and responsibility) for granted. At the same time, it can be a tough business. Many people mistakenly believe that authors are wealthy, but that’s generally not the case. Paying the bills comes with a lot of stress for me, even after all these years; nobody gets into this line of work for the money. 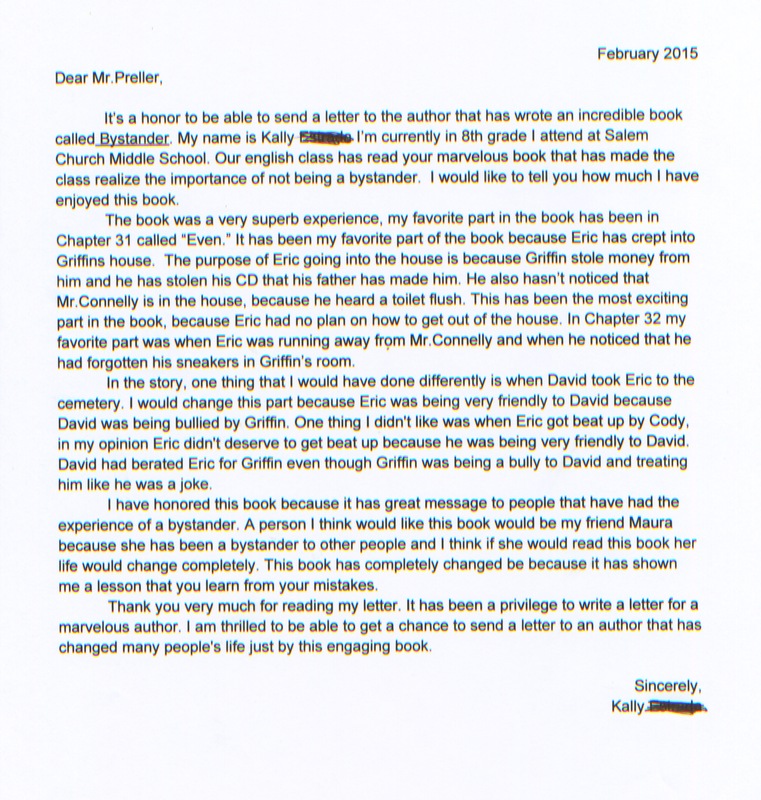 That’s why a letter like yours can mean so much to an author. Like wind in my sails. So seriously, sincerely, authentically: thank you. 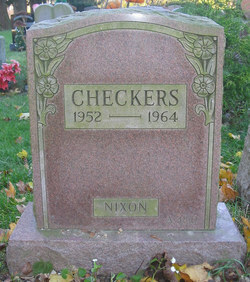 President Nixon’s dog, Checkers, was truly buried across from my high school in Wantagh, Long Island, New York, Earth. We were awfully proud. David is one of the most complex characters in the book. His desire to belong, to be accepted as part of Griffin’s circle – a world into which he does not rightly fit – really creates conflicts for him. I think that was the deep background behind the cemetery scene. Also, research shows that people who are bullied often turn around to bully someone else: the vicious circle, where helplessness and anger and humiliation seek some sort of outlet, somewhere/anywhere. To my mind, those factors informed that scene. Yes, Eric didn’t deserve it. But life is full of many injustices, both small and large. Sometimes as readers, the scenes we don’t “like,” or that disturb us in some way, are the ones that leave the biggest impression on our minds. P.S. Funny thing about your name. I recently rediscovered this old Hip-Hop song and it’s been in rotation around my house for weeks. So, in your honor, Mr. LL Cool J . . .